As the haunting strain of the pipes fills the air, the combination of the craggy beauty and sophistication of this destination calls to all of us. 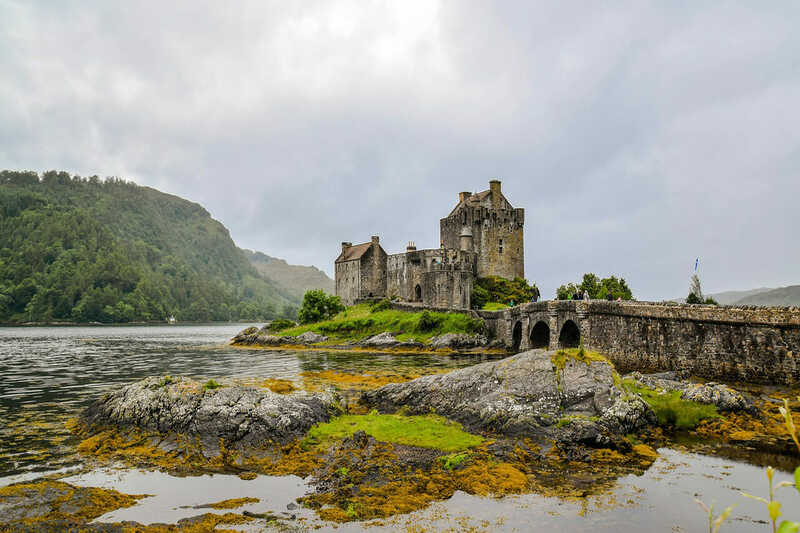 Scotland, its name rolls proud and crisp off your tongue like the taste of its own home-brew, fine scotch whisky unrivalled in the world, as is its expansive landscapes and rolling skies. 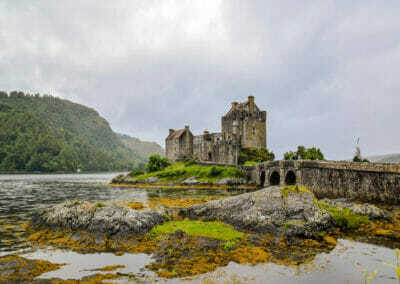 The allure of Scotland is timeless and priceless and the experience is…sheer magic! The Divine Destination Collection promises to bring you a truly magnificent and unforgettable experience unlike any other. 2 nights luxury accommodation at the 19th century Inverlochy Castle, a Relais & Châteaux property. “Cultivating the Countryside” Experience: Activity allowance to experience sheepherding, clay shooting, exploring, bike riding and so much more. Private gourmet dinner with wine, harpist and storyteller to regale stories of lore. Dinner in the Inverlochy Castle’s award-winning restaurant with chefs Albert and Michel Jr. Roux …and nightcaps. 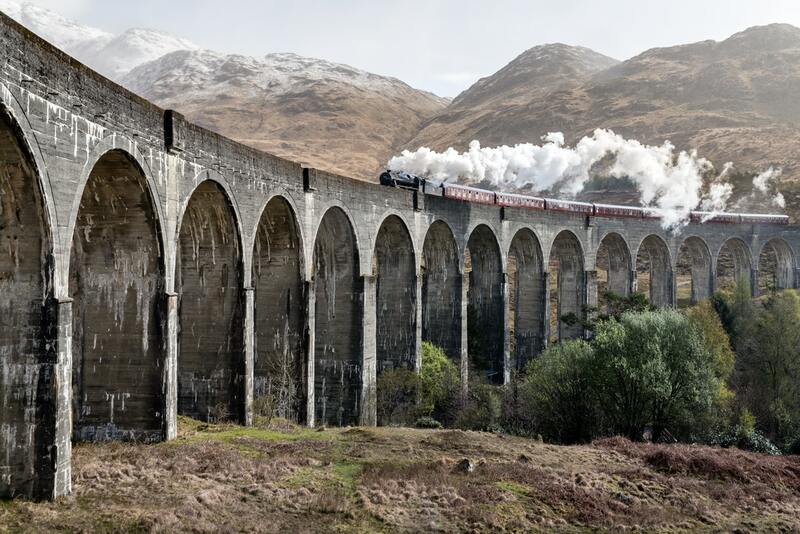 A journey on the iconic Jacobite Steam Train through the breath-taking Scottish Highlands. 2 nights on the spectacular Isle of Skye at the Skeabost Hotel, a charming 19th century guesthouse surrounded by jaw-dropping vistas. Private Fireside dinner and song in the Chapel at Skeabost…a local duo sets the tone. “Your Day Your Way on Skye” a customized adventure with hiking, visits to local artisans, fairy pools and Talisker Whisky tasting. Lunch at the award winning Three Chimney’s restaurant on Skye. 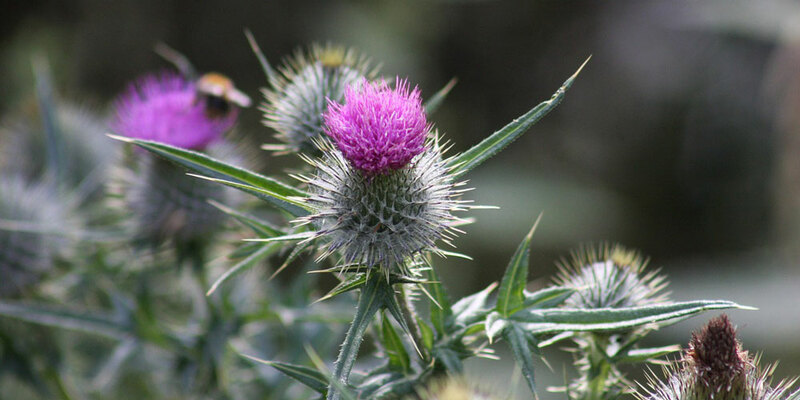 Encounter the power & emotion of Culloden Battlefield and the mystery of Clava Cairns. 2 nights at the luxurious Gleneagles Hotel (a member of the Leading Hotels of the World), gentrification at its finest, with stunning scenery, 3 championship golf courses and a two Michelin Star restaurant. Be Easy…Speakeasy evening at Gleneagles. 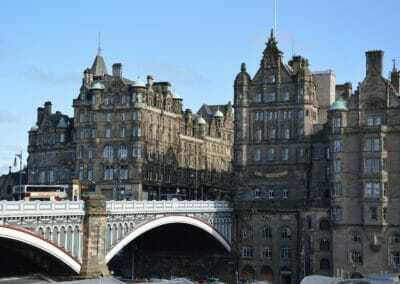 2 nights at the incomparable Balmoral, a Rocco Forte Hotel, the grand dame of Edinburgh. Behind the Veil: A fun & unique dining experience with “the locals”. Pipes and Pageantry “In the Footsteps of the Royals”…a regal farewell evening aboard the Royal Yacht Britannia, exclusively for The Divine Destination Collection. Inverlochy Castle, a Relais & Châteaux hotel, is a beautiful 19th century castle surrounded by the luscious green of the evergreen trees and the sparkling blue from the nearby loch. Being in Scotland’s finest Country Hotel, you will enjoy an experience of a lifetime, where every detail for your comfort and enjoyment has been carefully considered and one which you are sure never to forget. This charming and lovingly restored 19th century hunting lodge is an idyllic retreat in a jaw-dropping location on one of the world’s favourite islands. 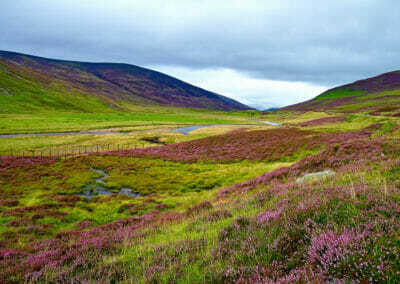 It is situated on 23 acres of woodland on the edge of a loch, with views out to sea and crofting hamlets. An ideal spot to relax in front of the fire with a wee dram or throw on your “wellies” and take in the beautiful grounds. When Gleneagles first opened its doors in 1924, this magnificent countryside estate in the heart of Scotland was described as a “Riviera in the Highlands”. Today, as a member of The Leading Hotels of the World, Gleneagles continues to offer an unbeatable array of attractions that includes a five-star luxury hotel, three championship golf courses, an award-winning spa, and the only restaurant in Scotland to hold two Michelin stars. A Glorious Playground…Known throughout the world as the host venue for the G8 summit of world leaders in 2005 and golf’s 2014 Ryder Cup. 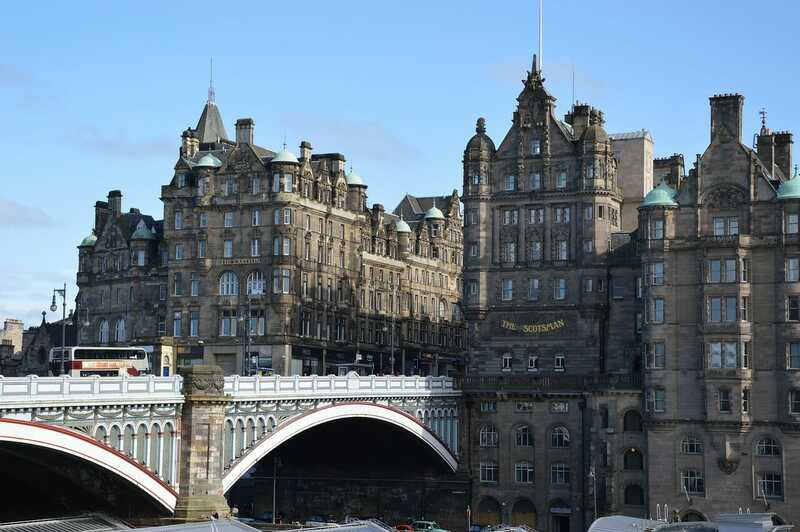 For over a century, The Balmoral (A Rocco Forte hotel) has found a home at Edinburgh’s most prestigious address, No. 1 Princes Street. A landmark in the centre of the city, the historic building’s grand clock still dominates the skyline, while its enviable location, stunning views, warm hospitality and world-class facilities provide the perfect retreat. Enjoy dinner in the Michelin-starred Number One restaurant, unwind in the award-winning spa and enjoy views of Edinburgh Castle from your suite. 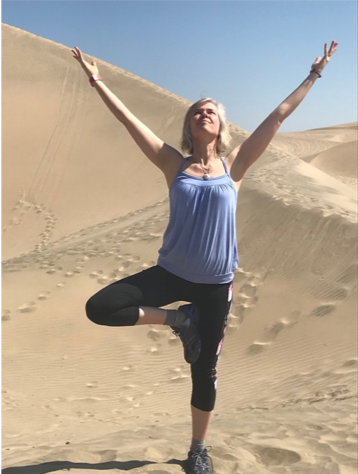 This adventure combines all of the truly wonderful elements this magical country has to offer…an exquisite culinary experience at a variety of award-winning and Michelin star restaurants… myths, lore, the energy of the land at many sacred sites and unspoiled scenery…and the juxtaposition of the old and new, historic and modern that exists. 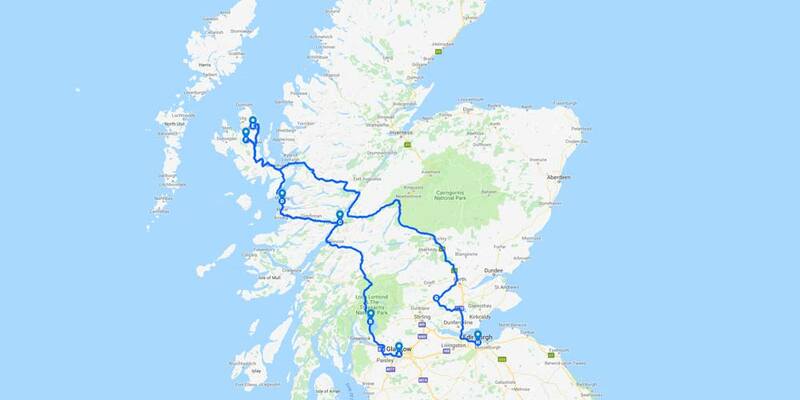 DAY 1: WEDNESDAY, OCTOBER 2, 2019: Upon arrival at the Glasgow International Airport you will be met by The Divine Destination Collection and head directly out of the city to Loch Lomond. We’ve taken the high road and the low road and arrived at Loch Lomond (not afore ya) but for lunch. Enjoy hearty fare for lunch at the quaint Bridge Orchy Hotel. From here it’s on to our first historic property just outside of Fort William, Inverlochy Castle, a Relais & Châteaux hotel. Staying at Inverlochy immediately wraps you in the feeling of serenity and sumptuousness, you literally breathe in the history while being soothed by the luxury and crackling lobby fires. Tonight, we will gather privately for cocktails in the Yellow Room of the Castle with a Storyteller to regale us with tales of the land and local lore. And, in the ever gentrified style, dinner will follow in the Library with a harpist to entertain. Retire “up the stairs” with a warming nightcap or succumb to the castle’s 120 brands of Scotch Whisky and the expert that can introduce and educate you to the nose of each blend. DAY 2: THURSDAY, OCTOBER 3, 2019: After a delicious hot Scottish breakfast (included), why not indulge as the Nobles would have done in the Scotland of yore? The castle that you call home offers clay shooting, archery, tomahawk throwing and sheep dog herding. Enjoy a gondola ride up Ben Nevis (Scotland’s highest peak), bike ride along the Caledonian canal with a visit to Fort William or take in a nature walk in the Highland Glen and Loch Leven. An activity allowance is included. Enjoy dinner at your leisure in Inverlochy Castle’s award-winning restaurant. Albert and Michel Roux Jr. at Inverlochy Castle offer a culinary experience to savour, the legendary father and Michelin Star/Television star son take the helm of the kitchen and offer the finest dishes using local produce. After dinner, in true Divine Destination Collection style, feel free to meet up in the Green Room for a nightcap before heading off to bed. DAY 3: FRIDAY, OCTOBER 4, 2019: Breakfast is included and at leisure in the hotel. Today we head deeper into the Highlands and on to the Inner Hebrides. 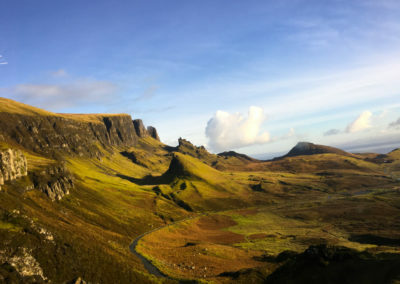 From Fort William, the largest town in the Highlands, which lies in the shadow of Ben Nevis (Britain’s highest mountain) we head to the Isle of Skye. 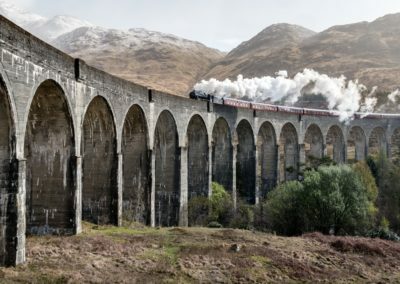 From a magical experience in the first-class carriage of the Jacobite Steam Train, (enjoy a moment of whimsy as you view and cross the famous Glenfinnan Viaduct or “Harry Potter Bridge”), to Mallaig where we board the large and stable (thank goodness!) ferry. Tea and delectable scones are served on the train and a gourmet deli snack on the ferry delights, all while delivering scenery that captivates your soul. 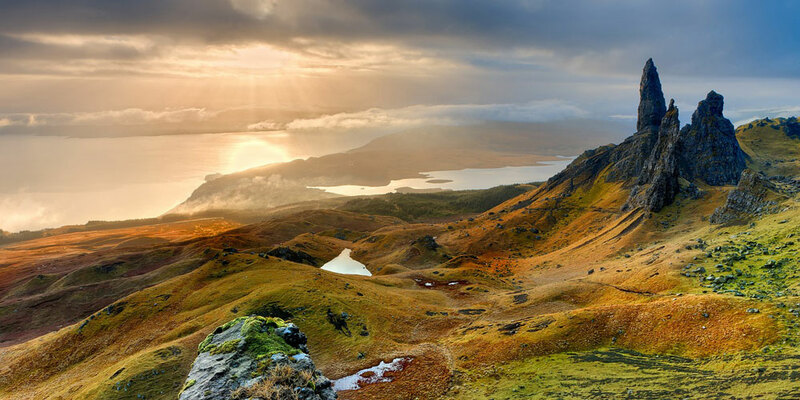 Skye…the isle emerges as if it exists just outside this realm. It is here that we tuck ourselves into the Skeabost Isle of Skye Hotel. Tonight, we’ll gather, drink and “sup” privately in the Chapel and perhaps you will “gee us a song Jimmy” as we enjoy our own local entertainment! 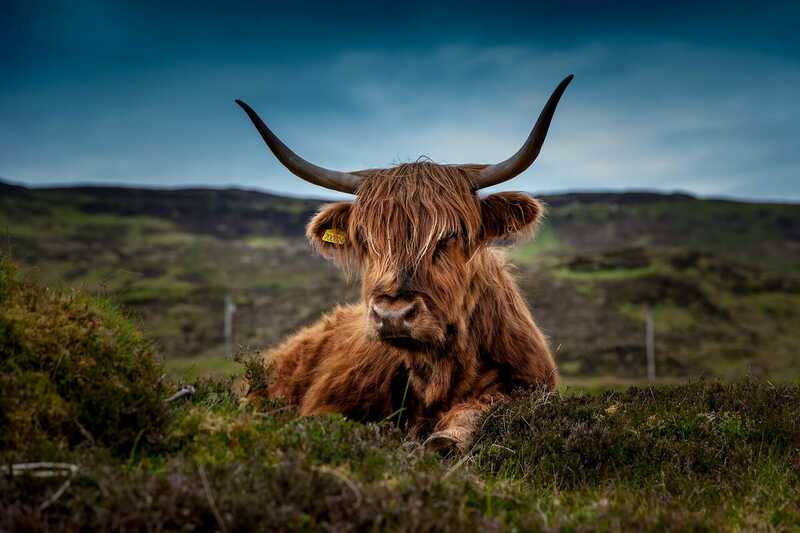 Fire lit, candlelight burning, music soothing…Good food, good company, good fun…Scotland revealed…as only the Divine Destination Collection can. DAY 4: SATURDAY, OCTOBER 5, 2019: Breakfast is included and at leisure in the hotel. Your Day Your Way… With The Divine Destination Collection, we unveil this spectacular Isle to you offering a day of Sensational Sensations! Choose from a rigorous hike to the Fairy Pools (a series of interconnected waterfalls with crystal clear water, which are thought to be a place of spiritual healing.) or, “Up Close and Personal” with local art & Artisans. Stop into local art galleries, textile & jewellery shops and chat up the artists who will be happy to put the kettle on for ya. 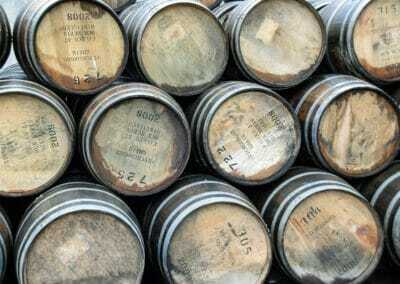 Both experiences will have you meeting up at Talisker Distillery for “a wee dram”, where we’ll partake in a private whisky tasting in a rugged and rustic setting. Today, experience an unforgettable gourmet lunch with vintage wines at the award winning (and we mean almost Michelin) Three Chimneys Restaurant. Enjoy dinner tonight at your leisure in the Skeabost Hotel restaurant. DAY 5: SUNDAY, OCTOBER 6, 2019: Breakfast is included and at leisure in the hotel. Depart Skye and, tracking back to the mainland by a different route, we are overcome by so much beauty its hard-to-process the scenery and the experiences. Outlander Fans rejoice! We arrive at Culloden Battlefield (the powerfully moving site of the final Jacobite Rising – the last and most harrowing pitched battle to be fought on British soil). From here it’s on to the mystical site of Clava Cairns (the inspiration for Craigh Na Dun, where Claire went through the stones). 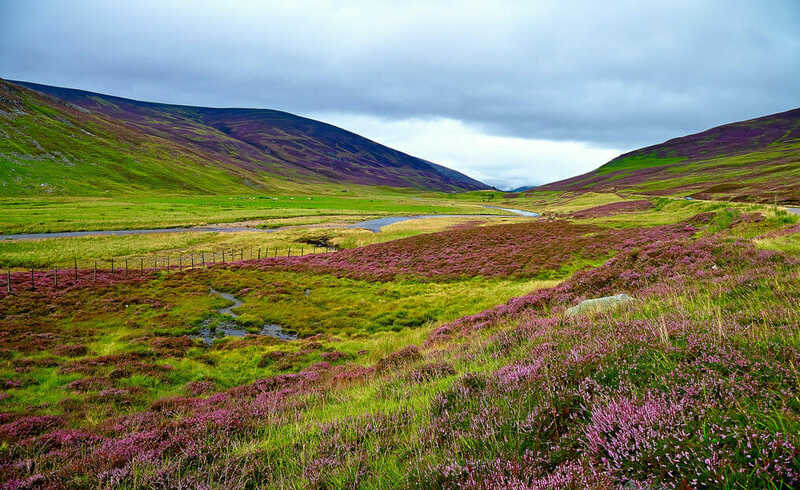 Finally, it’s a First-Class Train from Inverness with a light snack on board as the landscape lulls you into a dreamlike state of relaxation and joy. Next stop Gleneagles Station within the Gleneagles Hotel property. Manicured lawns, top hatted doorman, championship golf courses, this is the epitome of gentrified Scotland. Enjoy a private check in with an afternoon cocktail on the lawns of this iconic country estate. Dinner at leisure and on own. This evening check out one of the many restaurants on property, including Restaurant Andrew Fairlie, the only restaurant in Scotland to hold two Michelin stars. DAY 7: TUESDAY, OCTOBER 8, 2019: Breakfast is included and at leisure in the hotel. After a wee bit of a lie in this morning it’s off to Edinburgh, an easy hour through captivating Scottish countryside. 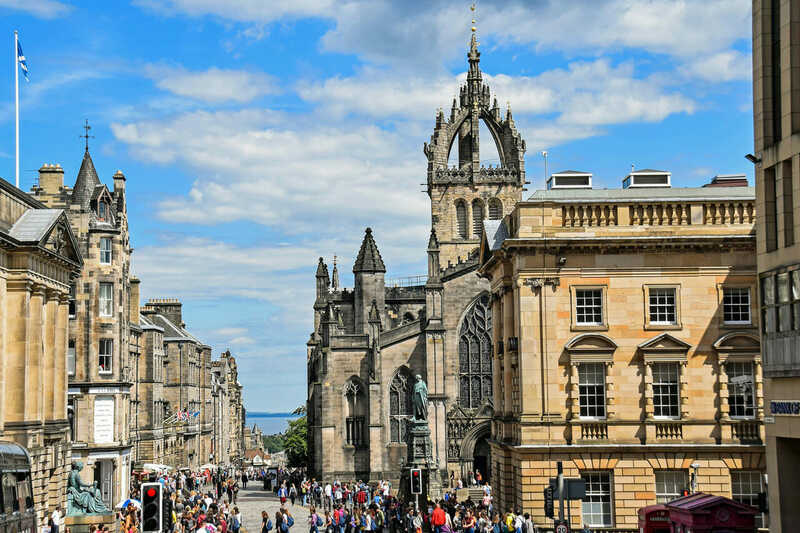 Edinburgh, mystically said to be named for the original Garden of Eden, some mystics have said that Scotland was linked by light to the other world before it fell from grace. It is one of the most stately, yet cosmopolitan cities of its time. The preservation of its historical architecture is exemplified by our home for the next two nights, The iconic Balmoral, a Rocco Forte Hotel. 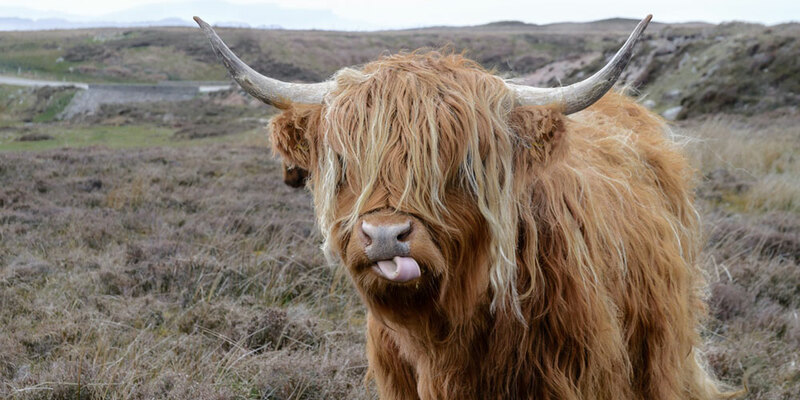 Tonight, we peel back the veil and invite you behind the curtain to a true down-home Scottish experience as you “dine with the locals.” Three families open their doors to us for an evening of delicious cuisine, a dram or two and a good old fashioned “chinwag”. DAY 9: THURSDAY OCTOBER 10, 2019: Breakfast is included and at leisure in the hotel. Check out and departure. 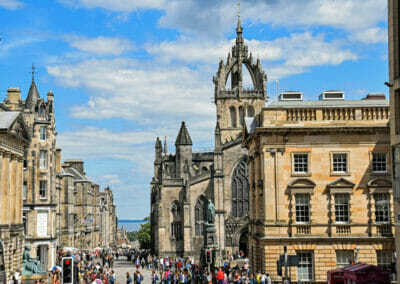 Private transfers to the Edinburgh International Airport will be provided for you flights home. Reflect on your journey, Aye, it’s been one of craggy hills, castles, countryside, cairns, classic and unprecedented cuisine, charm imbued with luxury, cosmopolitan comfort, clans and curiosity, curated experiences and the haunting sounds of pipes and pageantry that melt your heart and expose an ache in your soul. Travel transforms the traveller and with The Divine Destination Collection, your encounter with Scotland will leave you forever changed, forever entranced and forever wanting more…Slàinte mhath!